You already know the news: Kevin Garnett is coming back to Minnesota to play for the Timberwolves. In a trade-deadline deal that required Garnett’s signature to be official (he had a “no trade” clause that needed waiving) the Wolves are sending Thaddeus Young to Brooklyn for KG. On pure basketball merits, I don’t find the trade to be particularly interesting or controversial. Young is, well, younger. He’s 26, with a future career ahead of him that could be brighter than his already-accomplished resume’ to date. But he struggled mightily for long stretches this year, and only came alive recently when his veteran teammates returned from injury. It would be disingenuous at best to say that the Wolves gave up an important long-term asset in this deal. They didn’t. If they were in the hunt for a playoff spot this year, or had reasonable expectations for a playoff run next year, I might feel differently. But that’s not where this team is right now, with its best player in the middle of jump-shot reconstruction and its best prospect only 19 years of age. More on Young: not only is he a “tweener” whose most natural position of small forward (and the one he was playing recently, with better results) is the same as Andrew Wiggins’, but he has the option of becoming a free agent at the end of this season and the Wolves certainly had a better understanding of his intentions in that regard than the fans do. For all we know, Young was planning on leaving the team this summer and signing somewhere else. So the cost was not very significant, in my view. The return, on the merits, was also fairly insignificant. Don’t get me wrong, Garnett is one of the greatest forwards to ever play. He’s an MVP, a champion, and a future first-ballot hall of famer. If this franchise EVER has a better player than KG we’ll be seeing a short-list “Greatest of All Time” candidate. But KG isn’t The Big Ticket anymore. He’s 38. He turns 39 in May. He can still play a little bit — he’s posting very close to league averages in advanced stats like PER and win shares — but his potential value to this T-Wolves team is not in his statistics or his in-game production. We don’t think “league averages” when we think of KG, and especially not in the 20 minutes he is playing, per game this year. He’s not going to make an impact in games, on the floor. Not anymore. So yeah, the boring side of this trade is the basketball part. Thad wasn’t a particularly important piece of the Flip Saunders puzzle, and neither will Garnett be. I like the trade for two basic reasons, and I dislike it for one. I’ll start with the part I don’t like, and keep it short. Bringing back Garnett is a lot like bringing back Flip Saunders, and bringing back Sam Mitchell and bringing back Sidney Lowe. It’s the “country club” culture that Canis Hoopus has long criticized and Dr. Lawyer Indian Chief lambasted when it was announced that Flip would return as President of Basketball Ops. Glen Taylor is loyal to a fault, and sometimes prioritizes comfort over quality, or ability. There is a feeling, when digesting this Garnett-trade news, that the team is choosing sentimental value and cheap PR buzz over the wise basketball move. I don’t necessarily mean trading Young is bad — like I said, I don’t view him as a long-term puzzle piece — but maybe trading for a pure “asset,” even a second round pick or something, would make more sense than this headline-grabber. I don’t know that is true — how could I know what else was out there for Young, on the market? — but it’s just an inevitable feeling that the franchise has a less than ideal value system. The first pro is that, in a regular season that is 30 games longer than necessary, it’s nice when stuff happens that revives interest. These Timberwolves have been out of serious playoff contention since the end of November. While Rubio’s return and Wiggins’ ascent have been great to watch, KG’s return is just another layer of intrigue for the season’s homestretch. Garnett is the all-time face of this franchise, he has a unique personality (putting it mildly) and fans will turn out just to see him back in uniform, wearing the Number 21. I won’t apologize for taking interest in parts of the NBA that extend beyond the four sidelines and corners of the court. If I didn’t find things like Kevin Garnett’s persona to be interesting, I’d probably find other ways to spend my time. The second pro, and perhaps the more important one, is the possibility that Garnett will bring a certain type of leadership to this franchise that will help it grow with young talent, and become a championship contender. A type of leadership that has been missing. The veterans on this year’s team seem like nice guys with mostly professional work ethics. I’m thinking of Pekovic, Martin, and the departing Thad Young. They work hard, for the most part, and seem like good dudes. The new young guys are quiet and learning. Wiggins is getting better and has a stoic demeanor. Bennett seems nervous, unless he’s dunking the ball when he releases some pent up anxiety on the rim. LaVine is confident bordering on cocky, but not particularly intense. He sometimes seems clueless, at this point. I think Ricky Rubio is a good leader, based on what we can see. He plays with passion and intelligence, always communicating with teammates and putting it on the line to do everything to win. Ricky’s unquestionably a “plus” personality to have in any NBA locker room. He only brings good qualities to team chemistry. Ricky encourages teammates with positive energy and will never in a million years be accused of being a team cancer. But (from what I can tell) Ricky doesn’t have the nasty streak in him that a lot of the greats do. Sometimes being nice isn’t what’s best, when a teammate can’t understand an assignment or isn’t playing full speed. Sometimes, being the opposite of nice is the more beneficial tack. Michael Jordan was rarely nice. Kobe Bryant has rarely been nice. Chris Paul doesn’t seem like a very nice teammate. And with some notorious anecdotal examples, Kevin Garnett has not always been nice. Sometimes, those legends have been pretty mean when getting their point across and leading their team. Sometimes being demanding is more important than being friendly or patient. If you need current examples, watch Russell Westbrook and Kevin Durant bark at each other during games. Or watch Chris Paul interact with just about any teammate. It isn’t always buddy-buddy conversation. It isn’t clear that Paul’s teammates even like him, right now, but his team is 35-19. Over time, the young Wolves would do well to up their intensity level along with their expectations and demand more of each other. KG might help expedite that process. Like I wrote in our preview for the 2013-14 season, I want the Timberwolves to channel their inner Trent from Swingers, and be less like Mikey. I don’t want them to be the guy in the PG-13 movie that everybody is REALLY hoping makes it happen. I want them to be the guy in the rated R movie, the guy you’re not too sure about yet. Anyway, I don’t need to repeat that analogy. But Garnett understands basketball at the highest level, both from an intellectual basis (he was the defensive captain of those Thibodeau schemes in Boston) and from an intensity and dedication basis. If he feels invested in this Timberwolves project, he won’t stand for stupid mistakes or less than full effort. I’m sure Flip and staff get on the young guys for mistakes, but Garnett might do that with both better focus and more intimidating demands. There’s a side to reaching the levels that KG has that isn’t always pretty, and I don’t know if the current Wolves — before this trade — were properly equipped to understand that. In any event, a legend is coming home and fans will be excited about that. The Wolves are almost never not interesting, and for that I am thankful. Player/Owner/Coach? KG – not my favorite man is/was an extremely gifted player. Focusing his desire to win on his ability to shut down other teams inside game – rebound – and score when needed – KG brings the very qualities to this ball club that are most lacking. Bennett/Payne/Dieng are all young players with great physical skills, who will learn from KG – both on the floor with him – in practice against him – and on the bench watching him. KG isn’t shy – he will step it up and lead from day one. 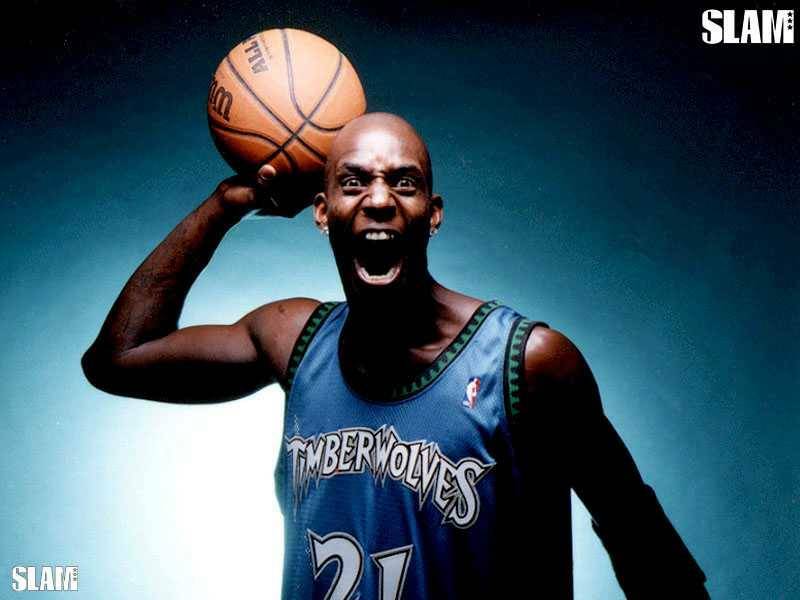 Not playing the front court – Wiggins/Bazz/LaVine/GR3/Brown all will benefit from KG’s leadership. Hummel/Budinger/ also can learn from the old man – PEK/Rubio/Martin already set in their games should benefit from his role on the team. The biggest benefit however, is the opportunity which Payne and Bennett will gain as there will be 28-30 minutes every game for them to split at PF. I like the deal. We need some toughness. I hope he has something left in the tank. Young didn’t interest me much. Great take Andy. I’m just happy defense is returning to MN. It’s been a way to long stretch of pathetic D (not matter what the stats say in the Adelman years, we’ve been soft forever). Will be interesting to see if he can get Bennett or Payne to get going, or in the very least play smart. I personally love the move as long as we don’t overpay KG (again). I liked Thad but we need a different kind of PF. I’d also rather have Wiggins shooting more. And I certainly didn’t want to get caught paying him $10M. I get overall regret of the Miami pick (especially with news of Bosh with health problems), but you move forward. It’s over.